Newly released vSphere 6.7 starts slowly make into the minds of IT admins, but as the whole backup software ecosystem isn’t ready, nobody is really upgrading just yet. It is a good time to do POC or test installations. Today, we’ll talk about What is vCenter Embedded Linked Mode in vSphere 6.7. vCenter Embedded Linked Mode is enhanced linked mode support for vCenter Server Appliance (vCSA) with an embedded Platform Services Controller (PSC). VMware vCenter Server Appliance (vCSA) 6.7 supports embedded deployment where vCenter Server and Platform Service Controller (PSC) are on the same node. So you can join another node with the VCSA + PSC. So this architecture is called an Embedded Linked Mode (ELM). Advantages? You can manage all vCenters which are linked within the same SSO Domain. You don’t have to re-login with your browser session to multiple vCenter server sessions. The vCenter Servers appear all within the same browser window session. It’s an enhanced linked mode for vCSA. It makes the architecture more easy to manage as vCenter and PSC are on the same nodes. VMware vSphere 6.7 supports up to 15 nodes with vCenter Embedded Linked Mode. Note: vCenter Embedded Linked Mode is not supported for Windows vCenter Server installations. vCSA is installed together with PSC – you can join another vCSA with embedded PSC (up to 15) to your SSO domain. You can join a vCenter Server with an embedded Platform Services Controller to another embedded node during deployment of the vCenter Server Appliance. You have the option to use the UI or CLI with example JSON files which you can customize to match your environment. No external Platform Services Controller, providing a more simplified domain architecture than enhanced linked mode. A simplified backup and restore process. A simplified HA process, removing the need for load balancers. Up to 15 vCenter Server Appliances can be linked together using vCenter Embedded Linked Mode and displayed in a single inventory view. For a vCenter High Availability (vCenter HA) cluster, three nodes are considered one logical vCenter Server node. This represents ten times the vCenter HA clusters in a vCenter Embedded Linked Mode for a total of 30 VMs. Note: Embedded Linked Mode with Read Only Replication – If a vCenter High Availability (vCenter HA) instance is connected with another vCenter Server instance with embedded linked mode and replication enabled, and vCenter HA failover occurs to the passive node and is unable to communicate with its replication partner on the other vCenter Server node, the replica on the vCenter HA node enters read-only mode. 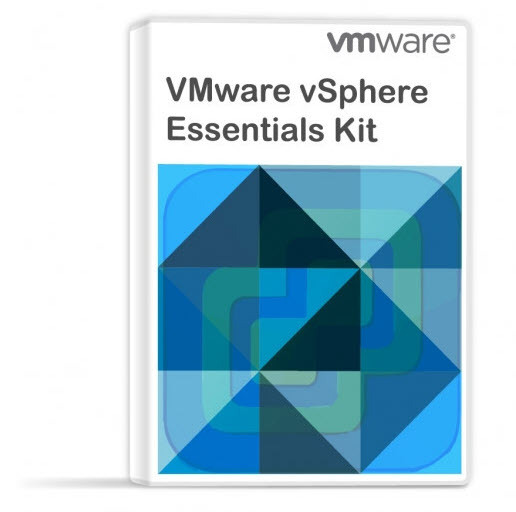 Check and share our new vSphere 6.7 dedicated page on this blog where you’ll find all the articles talking and teaching vSphere 6.7. VMware is moving forward leaving Windows version of vCenter server behind. This is the first time that the Windows version does not include all features that the vCSA does. The journey towards independence has started already a few years back with the VCSA appliance product. But back then, the product did not scale, wasn’t really reliable and dependent on SLES even though VMware has had a hand on patching and upgrades. I can’t wait to try vCenter Embedded Linked Mode. I’m off to the lab. > I don’t think it is. The 6.5 version had extra features on vCSA like the HA feature. Yeah, actually. You’re right. The vSphere HA was here since 6.5, and only for VCSA… -:) Good point. VCSA has been the way to go for several years now. I cringe when I visit a site that insists on a Windows VC (and also expect hours of pain if they want them upgraded). Embedded vc linked mode is a very welcome feature, if anything, just to cut out the requirement for a load-balancer or having to point VC’s at single PSCs if a LB was not available. has anyone experiences how to remove a vCenter from the embedded linked mode, so no errors show up in the “main” vcenter?